point. 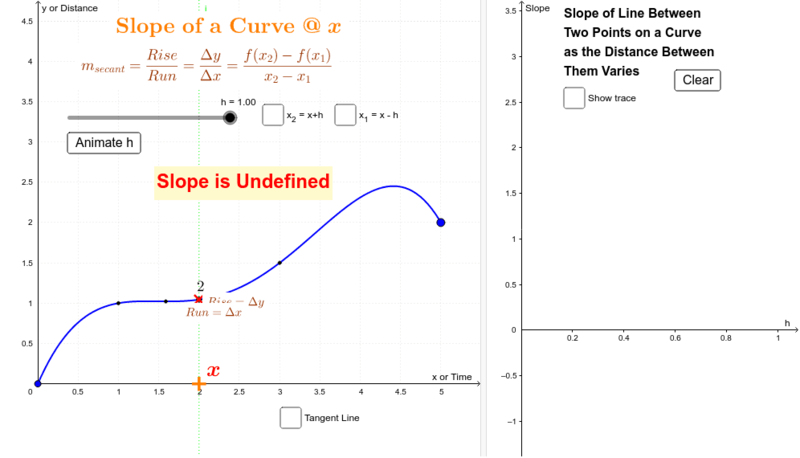 The line between two points on a curve is called the secant line, which is not related the secant function. Clicking the "Animate h" button will cause the 'h' value to decrease repeatedly. This will leave a path on the right graph showing how the slope varies with 'h'. Selecting "Show trace" will show all points on this path.